The first thought that entered my mind about Montana was vast farmland with very little to do. I couldn’t have been more wrong! I recently visited Big Sky Country—as it’s appropriately called—with my family. Regardless of it being blanketed in smoke due to the many wildfires, we soon realized that there were still many things to do in Montana. One of the top attractions that beckon tourists every year is Glacier National Park, home of the mighty Rocky Mountains. 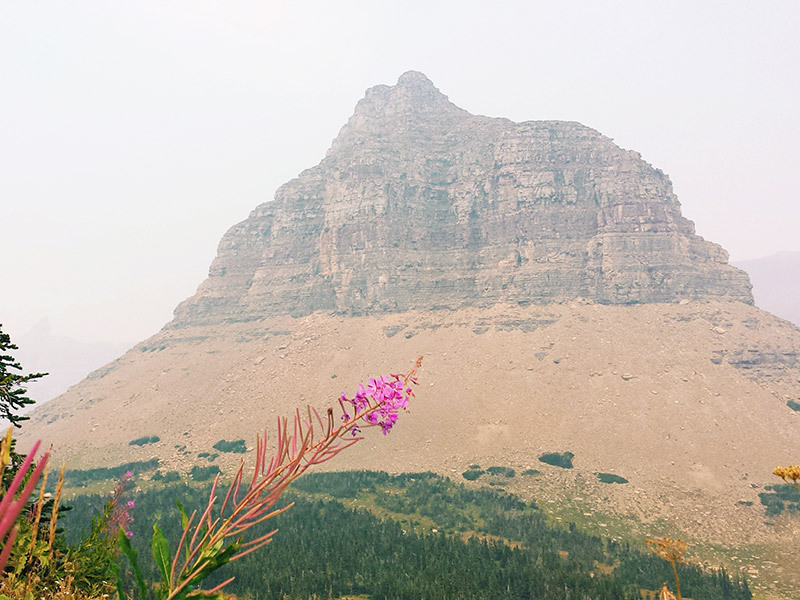 If you’re planning on visiting this beautiful state, read on for my recommendations on places to visit in Montana and the best hikes in Glacier National Park. Logan Pass is a popular tourist destination and offers some of the best hikes in Glacier National Park. The area itself is vast and has the highest elevation in the park at 6,640 feet. Don’t worry, it’s reachable by car! Logan Pass is known for the Hidden Lake Trail and the Highline Loop Trail. We got a later start to the day, so we opted to set out on the Hidden Lake Trail. 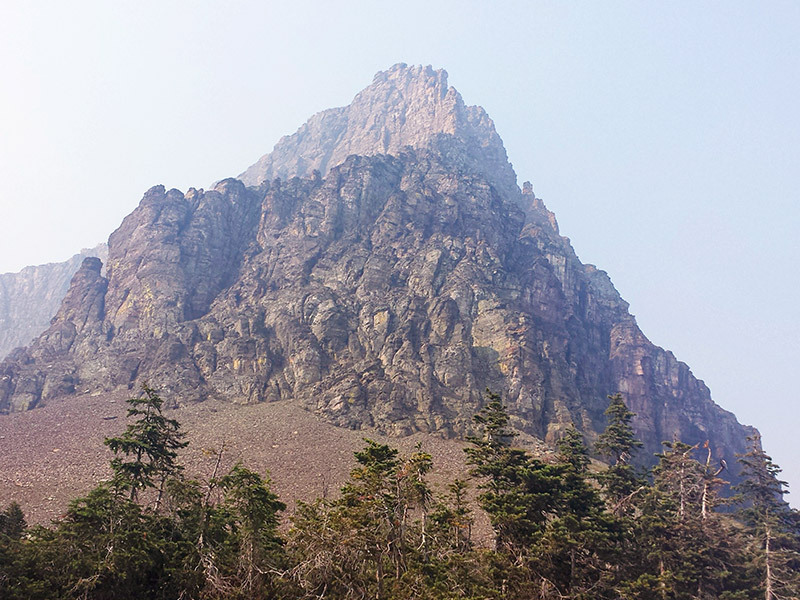 It’s a relatively easy trek to the look-out point which offers breath-taking panoramic views of Hidden Lake and the surrounding mountain peaks. We stopped there, but the trail leads all the way down to the lake. 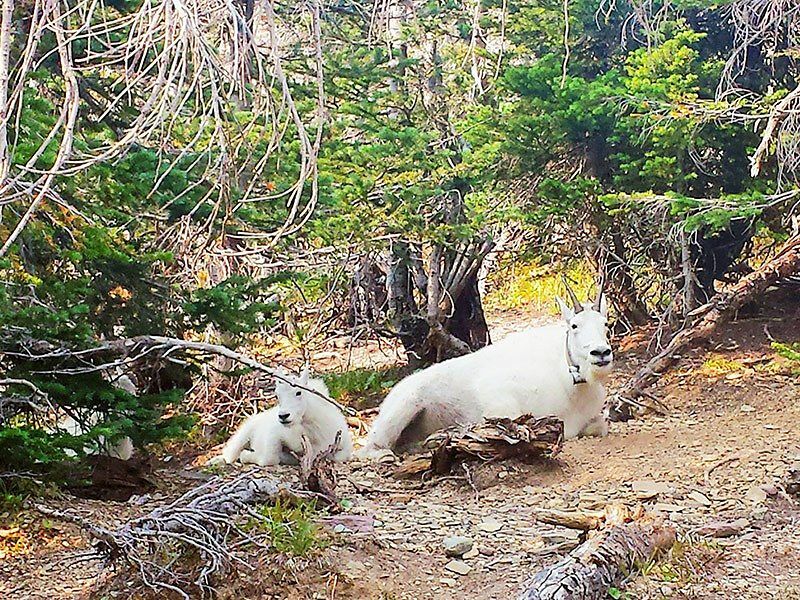 The most exciting part of our hike was spotting a mountain goat with her two kids! 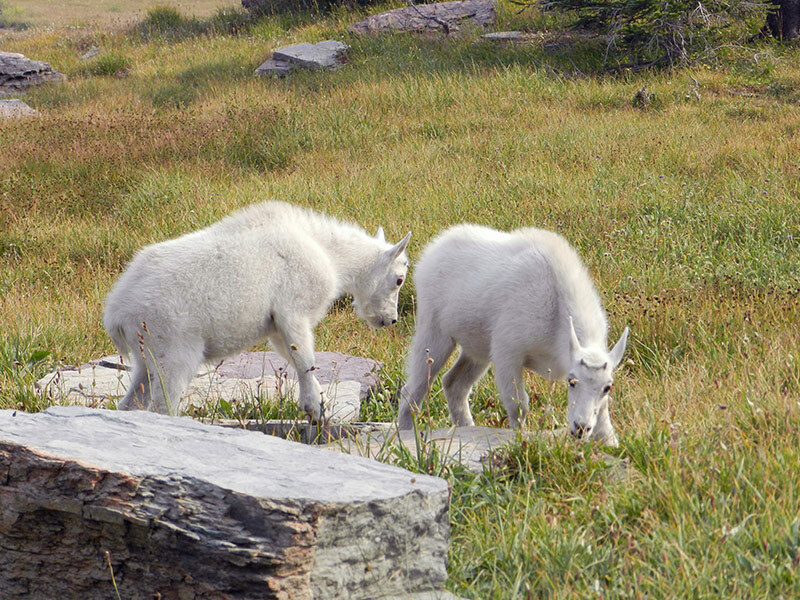 The area is also known for big horn sheep, but they are a bit more elusive. You’ll also spot many chubby marmots running around. A word of advice: keep an eye out for bears too. Even though the area is usually teeming with people, you wouldn’t want to be caught off-guard! I’d highly recommend visiting Many Glacier, located on the east side of the park. It’s one of the top places to visit in Montana because of its many beautiful glaciers, hiking trails, and abundant wildlife. 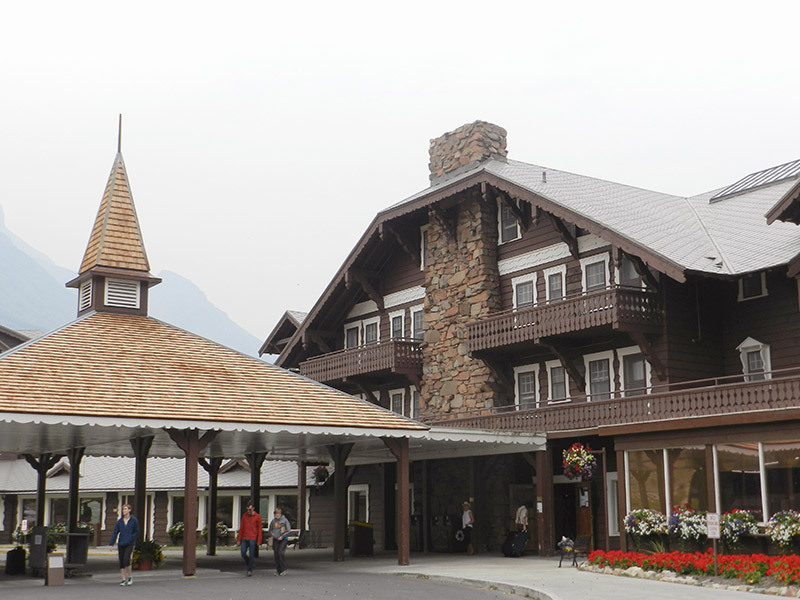 One of its famous landmarks is the Many Glacier Resort which just celebrated its 100th birthday! The boat tours are a popular attraction on this side of the park. They take you over two gorgeous glacier-fed lakes—Swift Current Lake and Lake Josephine. You can also opt for a guided tour. 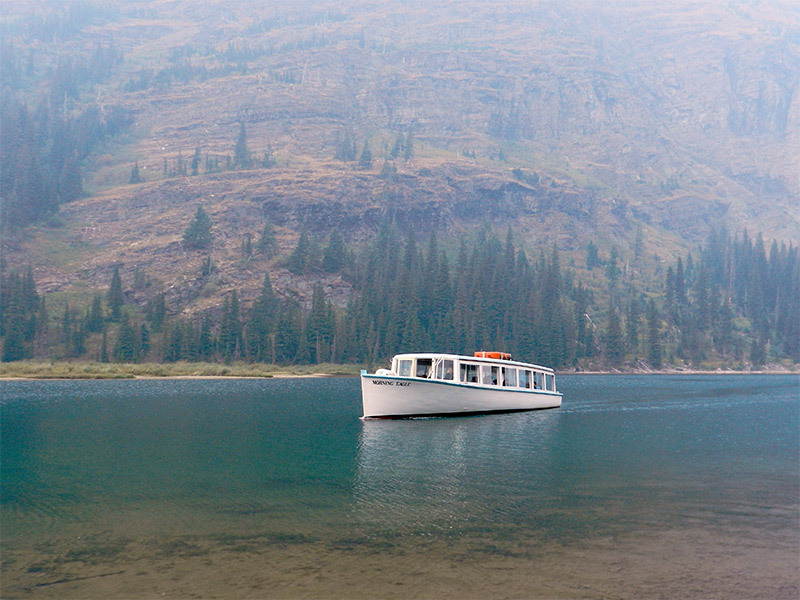 Once you arrive at Lake Josephine, you have the option of disembarking and exploring the area, or heading back to the resort. One of the best hikes in Glacier National Park is the Grinnell Glacier trail which offers you the best view of the Salamander Glacier. This 8.9 kilometre trail is a day trip in itself, so it’s best to get an early start. 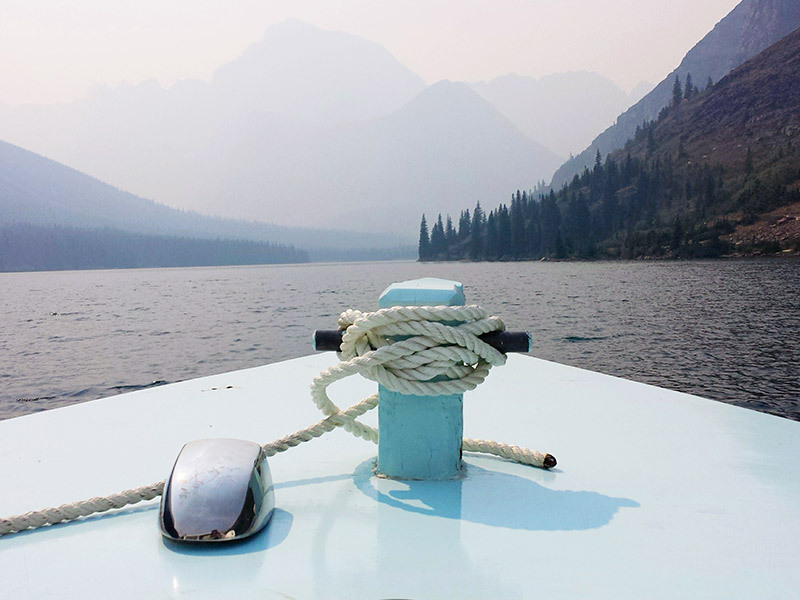 The trail begins at the northwestern end of Lake Josephine, so make sure you book the boat tour before getting there! Quick tip: The area is also bear country, so be prepared with bear spray! It’s expensive, but necessary when in bear country. If you don’t want to purchase it, you can rent a can from a privately owned store called Go Glacier Outfitters. 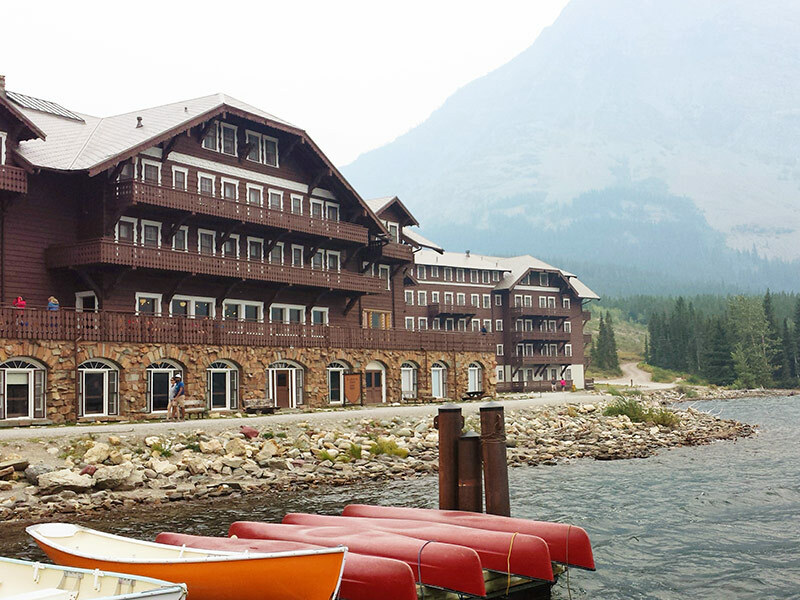 There are other things to do in Montana aside from exploring Glacier National Park. I’d recommend spending some time out on the water at Flathead Lake. You can rent a boat, go kayaking, or jump on a water scooter. It’s also a great spot to go fishing, or simply relax and drink in the view of the Swan and Mission mountains! Montana isn’t just a hiker’s paradise. The craft beer scene is up-and-coming and worth checking out if you enjoy your brews! The Flathead Brewing Company is one of many good places to visit in Montana because it’s located just a stone’s throw away from Flathead Lake, and has a stunning view from the patio. Their menu had a great selection too—don’t pass up on their chicken tacos! I enjoy a pint just as much as the next person, but keep in mind that alcohol and travel insurance don’t mix, so drink responsibly! This casual fine dining restaurant, which also has an Italian deli attached to it, is possibly the best place to eat in Big Fork, Montana. I’d highly recommend dining here if you’re looking for a scrumptious meal after a long day of adventuring! The ambience is warm and inviting, the menu is crafted with care, and the service is delightful. If you’re indecisive like me, try the bison entrée—it was excellent! There are many more great places to visit in Montana. If you’re driving through Eureka, Montana, be sure to stop by Café Jax for brunch or lunch. It’s a great dining experience! Know other hidden gems, or fun things to do in Montana? Leave your suggestions in the comments below! Many Canadians drive down to Montana, especially from Alberta. If you’re planning a road trip down there and renting a car, keep these 5 car rental insurance tips in mind. Since we were exploring the great outdoors, we made sure we were protected with travel medical insurance in case something didn’t go as planned. Remember, if you’re travelling outside your home province, don’t leave home without good travel insurance. If you’re confused about which policy to purchase, here’s how to buy travel insurance that’s right for you!